While still not finished, the bathroom is fully functional. After the kitchen and nursery are complete, Corey will go back to frame the window and door, paint and add the finishing touches but for now we're using it like a real bathroom. 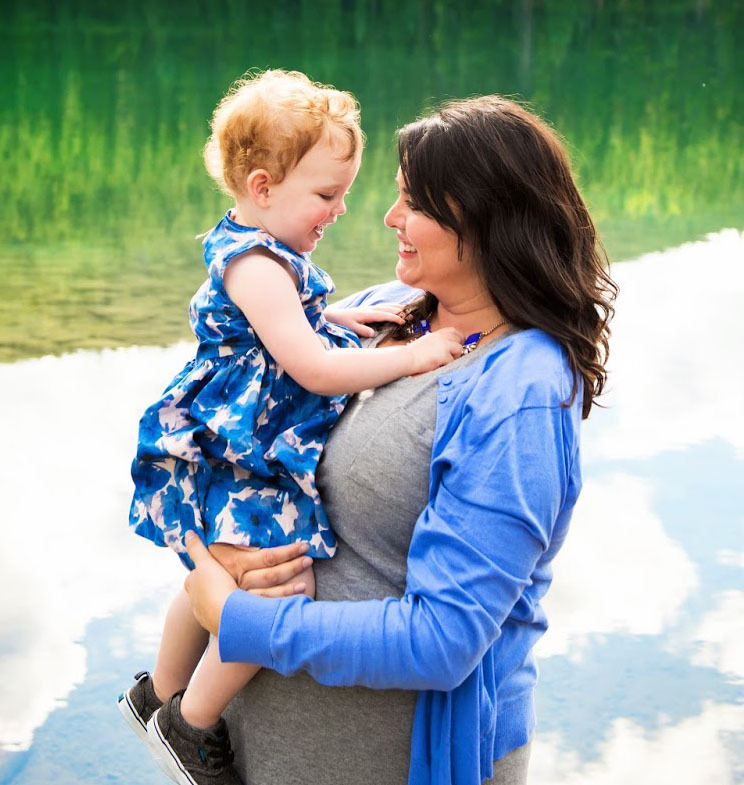 NO MORE FAMILY ROOM SHOWERS!! 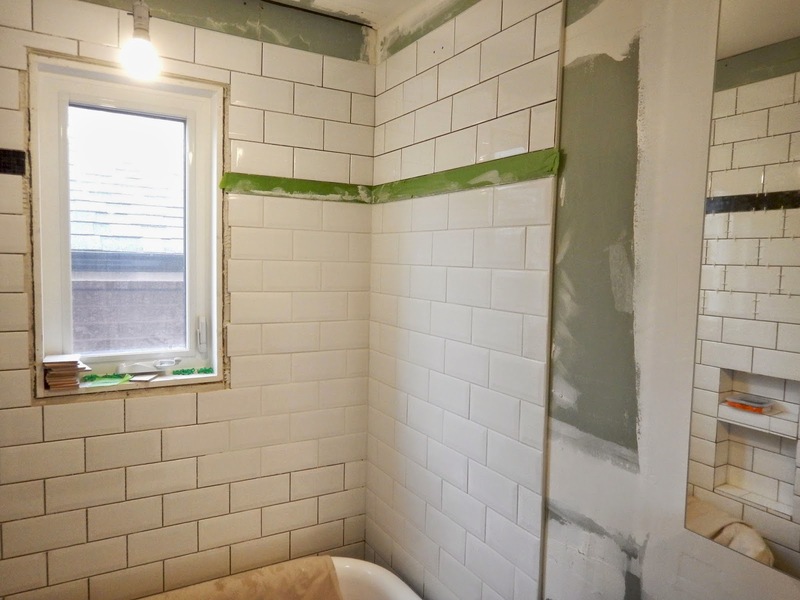 Looking at these pictures makes me so glad we opted for the look of white grout with our subway tiles. The light bevel adds enough definition to the tile and the white grout keeps the look clean. 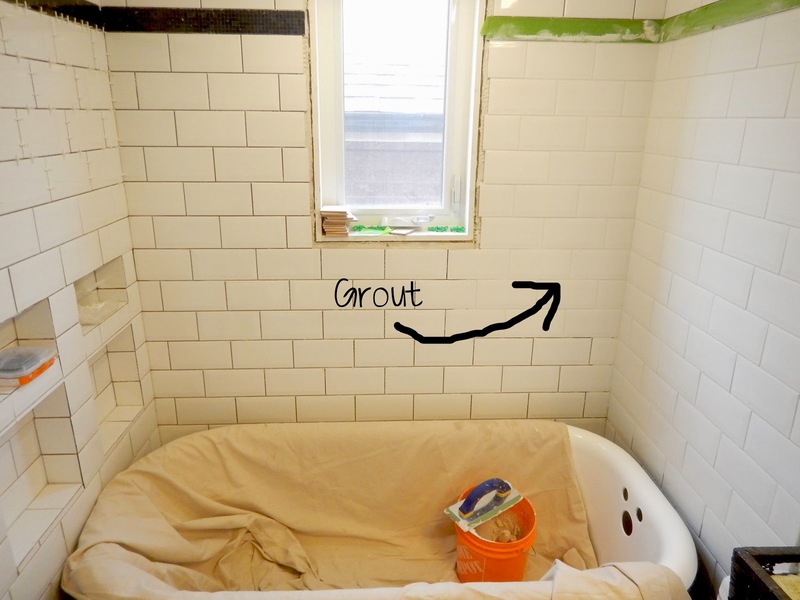 See the difference between where the grout has been added and where it hasn't? 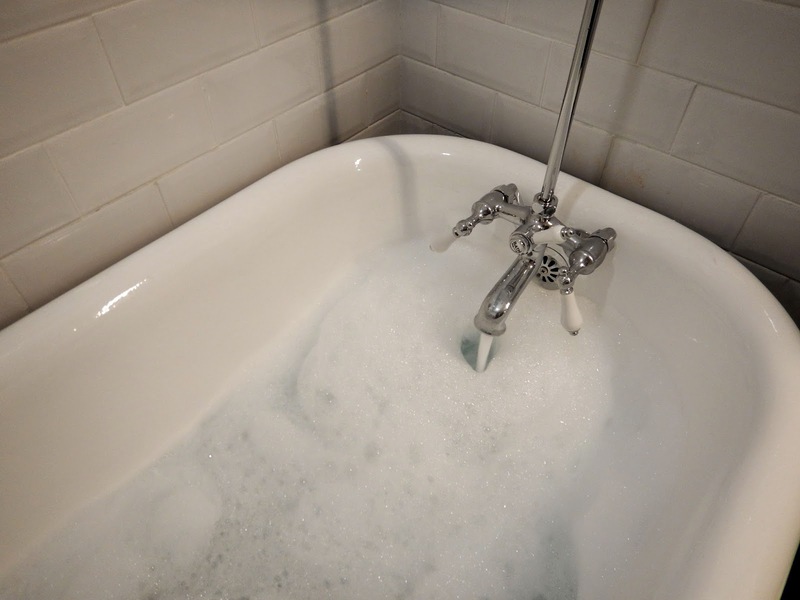 It's all done now and my pregnant self has been soaking in the tub, which Corey hooked up. Another tip we learned along the way was to cut slivers of a hockey puck to use as padding under the clawfeet to support the heavy tub. 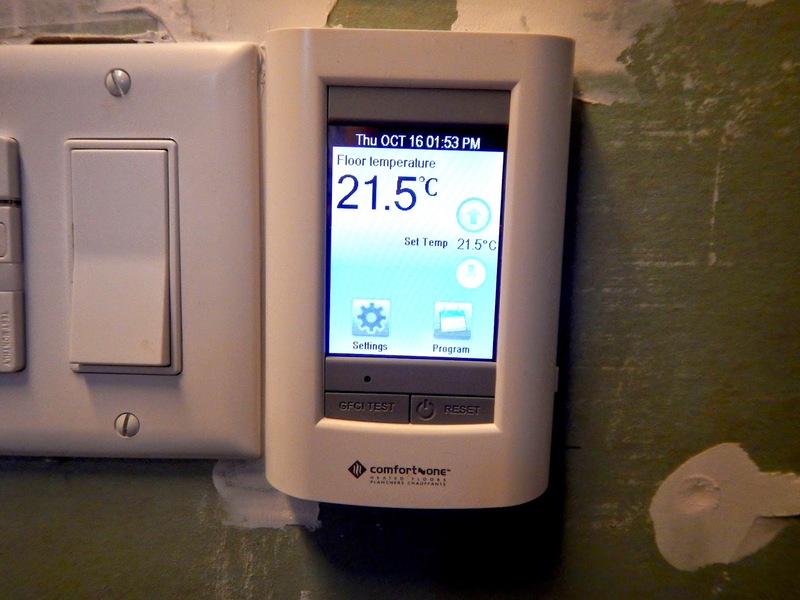 Our thermostat is now also working and we have programmed it so that our floors are toasty in the morning and at night. And Corey also added a pot-light above our shower. 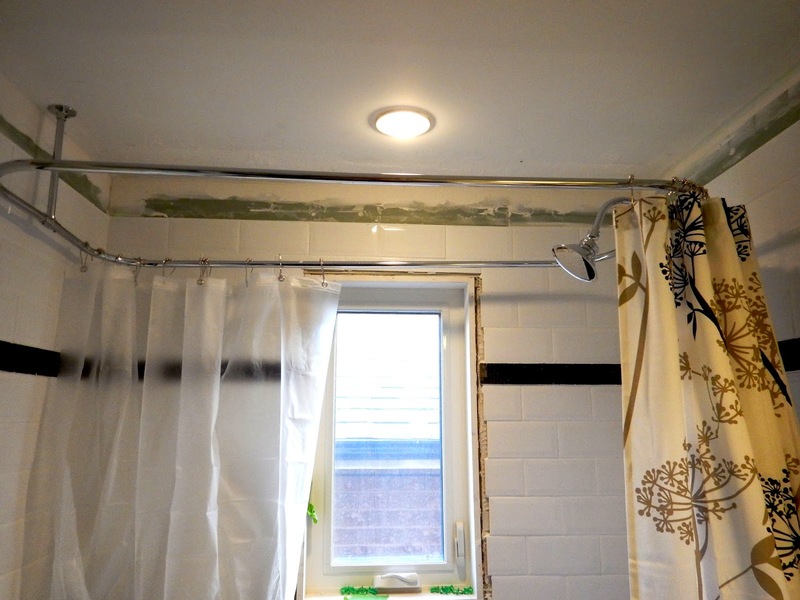 We'll paint later but for now, we just love having a fully functional bathroom!